Set your spirit free in Alyce 4037. This whimsical party dress has a velvet bodice, with a scoop neckline, and spaghetti straps that frame the square back, and zipper closure. The short, pleated, A-line skirt has a lovely lace overlay, with a scalloped hem, and tone-matching, beaded waistband. 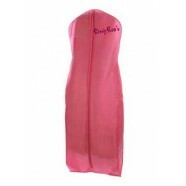 Have a magical time in this dress at a wedding, homecoming dance, or graduation party.